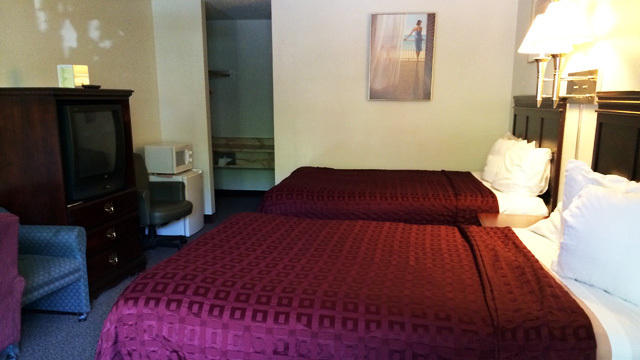 This newly updated room has 2 queen size beds. Every room has a mini fridge and microwave. Free DirecTV, wi-fi, and continental breakfast are also included. Irons, ironing boards, and blow dryers available at the front desk upon request.